With the Enterprise disabled by the Klingon-Decepticon alliance, things look dire for Spck, Optimus Prime, and the landing team to save the day. But with the Autobots' help, can Captain Kirk come up with a solution to save the day from a massive Cybertronian threat? 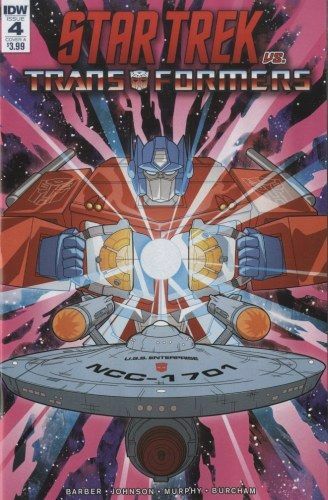 The Transformers '80s cartoon series meets Star Trek: The Animated Series in a no-holds-barred Saturday morning mash-up for the ages! Diesen Artikel haben wir am 16.01.2019 in unseren Katalog aufgenommen.